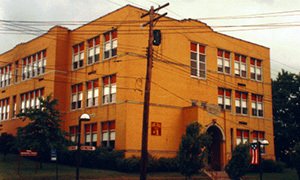 Park Elementary is a high-performing neighborhood school serving over 300 kindergarten through fourth grade students from Munhall, West Homestead, and Homestead. Park students are respectful and kind, and they love coming to school! Students are fortunate to be supported by an extremely active and engaged PTO, and Park offers a number of well attended after school enrichment activities that support academic and physical development. All Park students are eligible for free breakfast and lunch. Teachers and staff are committed to continuously improving, and three teacher-led teams drive the school’s improvement efforts. Park is a special place, and the school community has much to be proud of! Each school in Pennsylvania receives a Building Level Academic Score that is based on a number of factors, including student achievement and growth. Increasing this score is not easy, and it is very difficult to “pass up” other schools, since all schools are striving to improve. Over the last few years, Park Elementary has passed over 100 schools in Allegheny County, including every school with comparable demographics and many, many schools in the wealthy suburbs. This year the Park teachers and staff are committed to passing even more! Students work hard in school, and learn a lot! In 2018, Park Elementary School’s Positive Behavior Support Program was formally recognized by the state after the school received a perfect score on an in-depth evaluation that focused on school culture, student behavior, school safety, and communication. The program’s success has not gone unnoticed. The team recently presented at a regional conference and has been selected to present at an upcoming state conference! Every Park Elementary teacher has earned their Apple Teacher Certification, and is now an Apple Teacher! While student academic achievement is very important, the teachers also want their students to acquire the kinds of 21st century skills that will set them up for success in life. They want students to be creative and collaborative; they want them to be able to communicate effectively and think critically. By earning their Apple Teacher Certifications, Park Elementary teachers are now better prepared to help their students acquire these skills. Student safety is extremely important to the teachers and staff at Park Elementary School, and the school regularly conducts drills to make sure everyone is as prepared as possible for an emergency. Last year, police from a neighboring district heard about the good work going on at Park and asked to come in for a visit to review the school’s procedures and observe a drill. They were incredibly impressed, and took what they learned back to the schools in their district. The teachers and staff in those schools are now better prepared for an emergency. Park teachers and staff practice evacuation carries to prepare for an emergency.